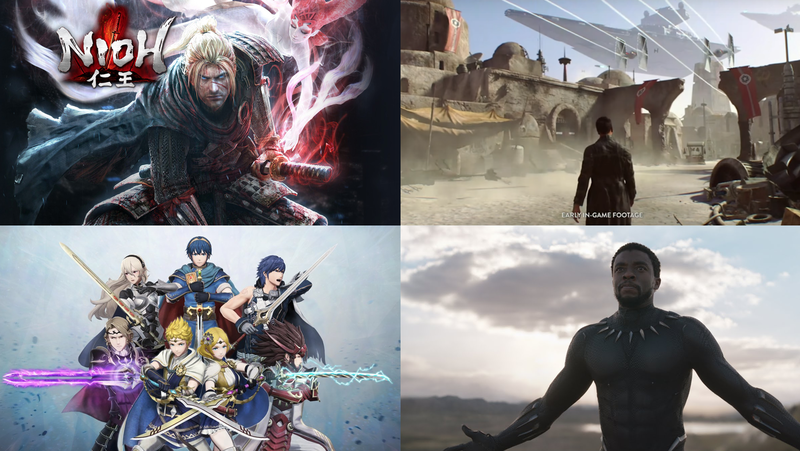 We have two game reviews and a big piece of gaming news on this week’s show, as we await a flood of film and game releases over the next few weeks. First, we talk a silly Star Wars title reveal and an amazing second trailer for Black Panther, before diving into EA’s closure of Visceral and the ‘redevelopment’ of their long-in-the-making Star Wars game, all of which is perhaps one of the most surprising industry developments in years. And for our reviews, Jonathan talks this week’s Fire Emblem Warriors for the Nintendo Switch, while Sean takes a belated look at the samurai action game Nioh on the PS4. Both are excellent games well worth your time.